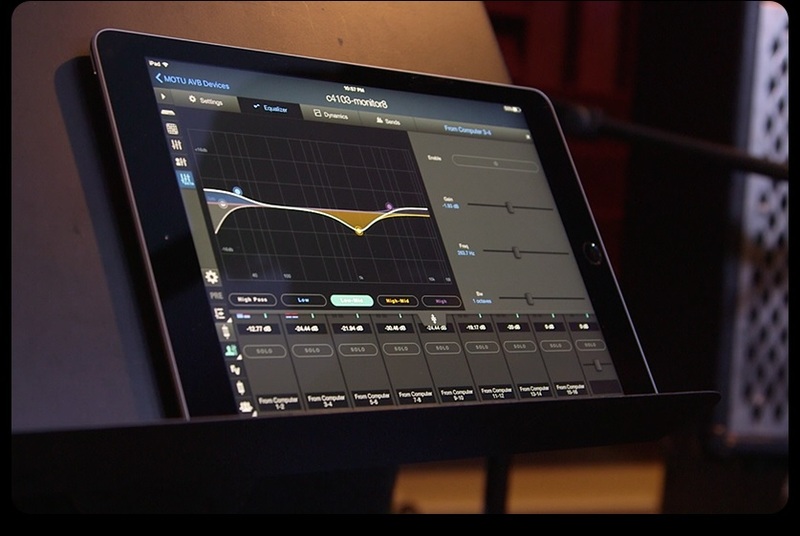 MOTU rolls out a firmware update featuring their new Touch Console Application. MOTU this week pushed out a new firmware for a number of their network attached models. This new update takes their Pro Audio Control web application that you regularly use for routing your interface and they’ve crammed in a few new features and more importantly, they’ve redesigned it to allow you to run it off any touch-enabled device on your network. This feature has cropped up previously on the recently released 8PRE-es where it came pre-installed. Now, however, this new firmware release opens it up even further allowing owners of the 1248, 16A, 8M, 112D, 828es, UltraLite-mk4, UltraLite AVB, Monitor-8 and Stage-B16 to all get involved. Whether in the studio, or out on stage full control is now in your hand and users can launch the Pro Audio Control web app on their tablet or smartphone (iOS or Android) in order to gain easy access the Touch Console, giving the user an intuitive control over the DSP-driven 48-channel mixer in their MOTU interface, with twelve buses and effects including 4-band parametric EQ, dynamics processing, classic reverb and a model of the vintage LA-2A leveling amplifier. It’s a free download, and for existing qualifying owners, you should get a new firmware update notification next time you log into the control application. For more details check out the following videos from MOTU. All MOTU products @ Scan.